In a recent CNN report, correspondent Elizabeth Cohen described an experience she had while waiting in the TSA screening line at an airport. She was behind a man in line who opted for the “pat-down” in lieu of the scanner. Having never seen this happen before, Cohen was intrigued. Cohen goes on to poll a number of doctors to find out what they would do – the results were mixed. I know that I wouldn’t go any where near back-scatter scanners, which emit x-ray radiation – who needs an extra dose in these times, right? If the TSA feels it is necessary to virtually strip down American citizens to protect the homeland, than they should at least provide a safer technology at all checkpoints. That alternative is active millimeter wave (MMW) radio frequency technology that uses radio signals, no x-rays or radiation. I’m not saying I agree at all with the ongoing extreme government reaction to 9/11 – but if they are going to do it it they might as well use safe technology. Here’s a quick video showing the MMW technology in action. It is produced by L3 Communications – makers of the ProVision. 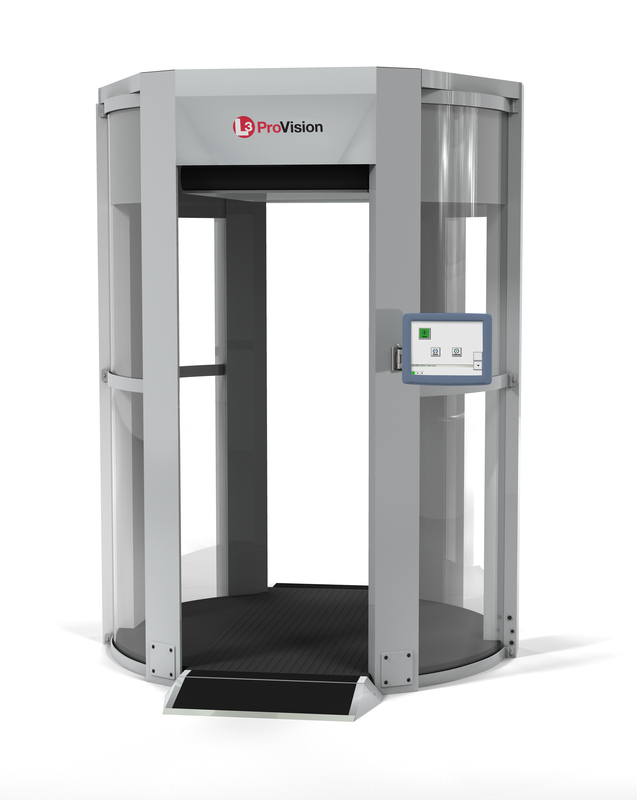 It might be a good time to buy some L3 stock and hope it goes back over $100.00 a share based on increased sales to replace the more dangerous scanners currently in use. The FDA announced on March, 30 that results from a screening sample taken March 25 from Spokane, Wash. detected 0.8 pCi/L of iodine-131, which is more than 5,000 times lower than the Derived Intervention Level (DIL) set by the U.S. Food and Drug Administration. In light of that and the eventual elevation of levels as the Fukushima reactor continues to spew radioactive materials into the atmosphere, I have compiled the information below. This information will be updated as events warrant. Check the end of this article for updates and new links. Internal exposure by ingestion of radioactive iodine (I-131 ) occurs when persons eat food that is contaminated with the fallout. The oral pathway is the main route of internal I-131 exposure for people. Milk is the major source of internal exposure. I-131 is radioactive, has an 8.03 day half-life, and emits beta and gamma radiation. The thyroid gland is the critical organ for I-131 exposure. Essentially all of the iodine entering the body quickly becomes systemic (EPA 1988), with approximately 30% depositing in the thyroid. Dietary intake of iodine before exposure is important because a relative iodine deficiency increases the thyroid uptake of I-131. 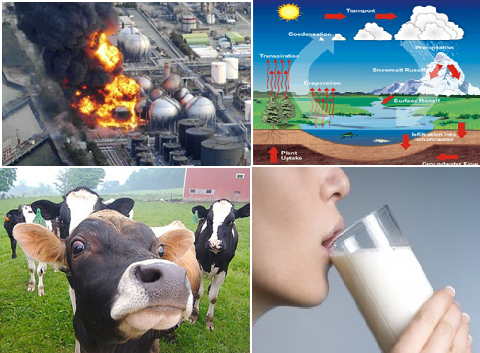 After cow’s graze on grass that has been contaminated by radioactive fallout, glands in the cow’s udder concentrate the radioactive iodine and release it into the milk. Goat’s milk and sheep’s milk contain approximately 10 times the concentration of radioiodine found in cow’s milk. After exposure, the most critical dietary information needed is the amount and type of milk and milk products consumed, their I-131 concentrations, and the time they were consumed relative to the time of the release. Inhalation, especially near releases of I-131 in the absence of rain, is another route of internal exposure. However, doses to humans from inhalation and from ingestion of plants, animals, or water are usually small in comparison. 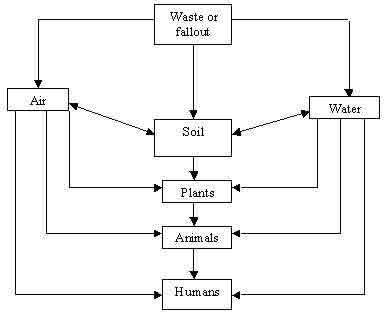 Figure 1 shows the exposure pathways of I-131 from the environment to humans. “A temporary embargo to prevent the introduction into commerce of food from a contaminated area should be considered when the amount of contamination equals or exceeds the DILs or when the presence of contamination is confirmed, but the concentrations are not yet known. The temporary embargo would continue until measurements confirm that concentrations are below the DILs. Normally, your body stores between 20 to 30 mg of iodine, most of which is kept in the thyroid gland. While iodine deficiency was a problem in the early 20th century, the inclusion of iodine in iodized salt has nearly eradicated the problem. Also, because it is often added to animal feed, iodine is passed onto humans through cow’s milk. Iodine is also found naturally in many foods, but it has the highest concentration in kelp, yogurt, cow’s milk, eggs, strawberries and mozzarella cheese. Iodine-131 may not be the only concern in the future if the slightly heavier and longer-lasting isotopes experienced after Chernobyl make it across the Pacific. The food monitoring results from FDA and others following the Chernobyl accident support the conclusion that I-131, Sr-90, Cs-134 and Cs-137 are the principal radio-nuclides that contribute to radiation dose by ingestion following a nuclear reactor accident, but that Ru-103 and Ru-l06 also should be included. Radiation from Japan has been detected in drinking water in 13 more American cities, and for the first time cesium-137 has been found in American milk—in Montpelier, Vermont, according to data released by the Environmental Protection Agency late Friday. The sample contained 1.9 picoCuries per liter of cesium-137, which is under EPA’s 3.0 picoCuries per liter standard. Milk samples from Phoenix and Los Angeles contained iodine-131 at levels roughly equal to the maximum contaminant level permitted by EPA, the data shows. The Phoenix sample contained 3.2 picoCuries per liter of iodine-131. The Los Angeles sample contained 2.9. The EPA maximum contaminant level is 3.0, but this is a conservative standard designed to minimize exposure over a lifetime, so EPA does not consider these levels to pose a health threat.